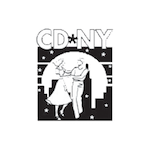 Contrashock is a two-day contra dance festival in NYC. Presented by CD*NY and Brooklyn Contra. Website Copyright Aviochke Designs, 2016.
featuring Organic Family Band and Ed Howe, Emerald Rae, Casey Murray and Stuart !